White unstrung tags are available in two sizes. 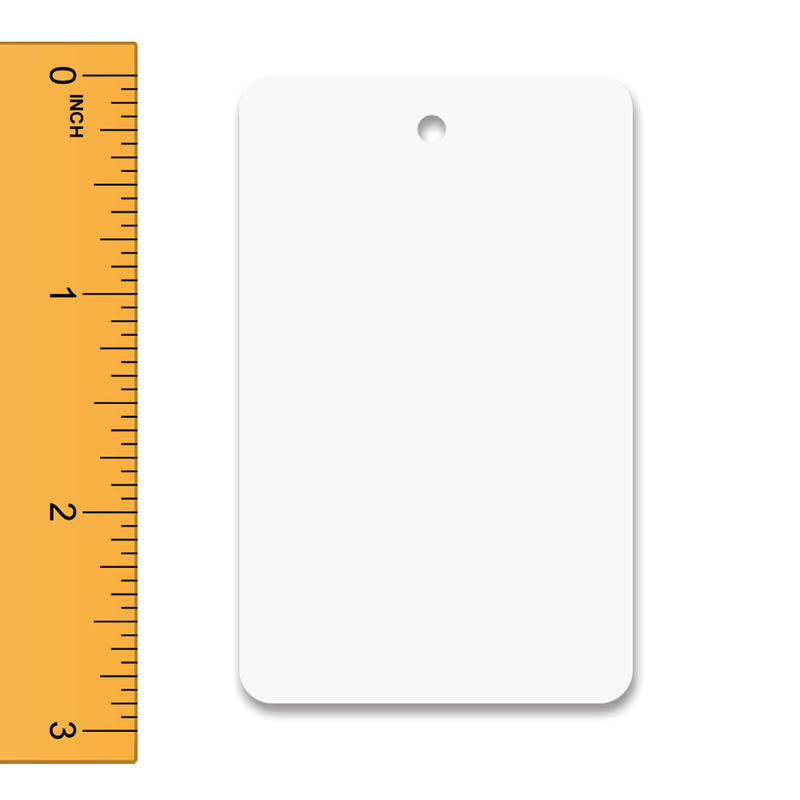 Blank white tags are made of card stock with a smooth finish that you can write on or use the tags with a barcode labels. White tags are unstrung and can be used with our regular and fine fasteners.